High quality steel welded, lockable protective case for projector. 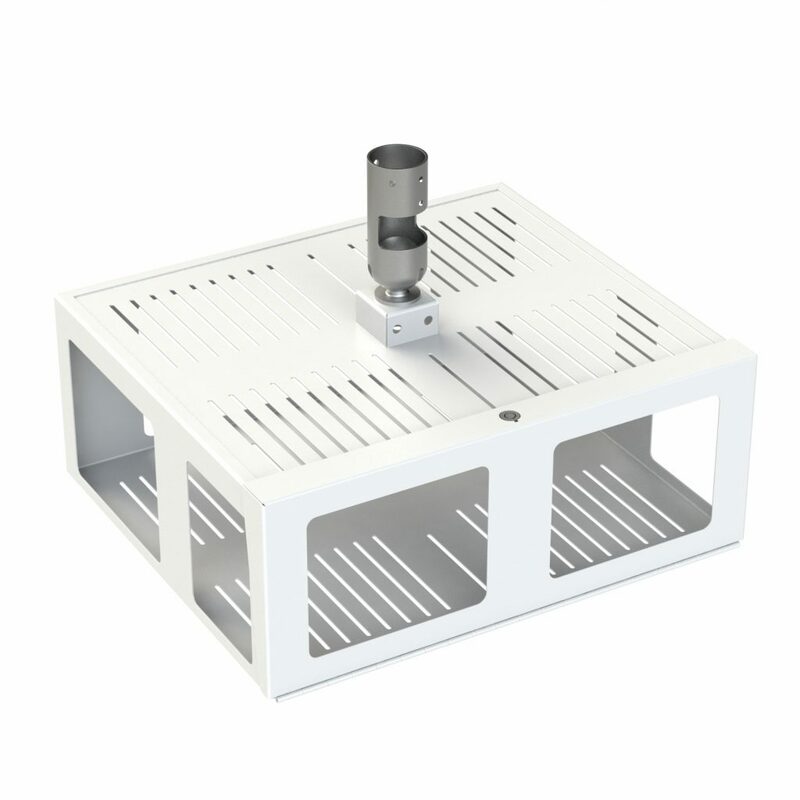 Maximum projector size 500mm wide x 410mm deep x 180mm high. Includes universal projector mount arms to mount projector inside the case. Ball jointed adapter provides fine adjustment of the projected image. Adapter enables compatibility with standard 50mm drop poles to fit to existing mount kits. Compatible with Loxit’s heavy duty security cable kit. Projector case can be supplied without the articulated joint or can be adapted to become a desk case. Please ask for pricing. High quality, high strength fully welded steel construction. Hinged access to front of projector case locked with 10,000 differ plunger lock. 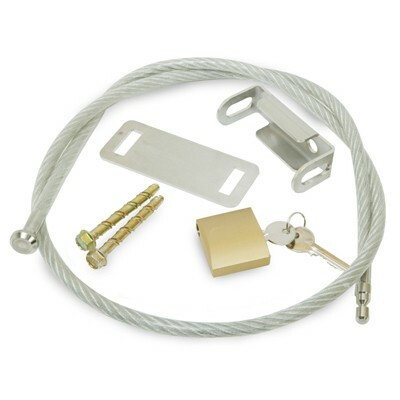 Incorporates shackless padlock housing for maximum security when coupled with heavy duty security kit. Ball jointed adapter enables compatibility with 50mm round drop pole. Full length durable piano hinge to door. Extra large universal projector case provides high quality protection against vandalism and objects such as footballs, basketballs etc. The 50mm ball jointed adapter enables the protective case to be fitted to 50mm drop poles.